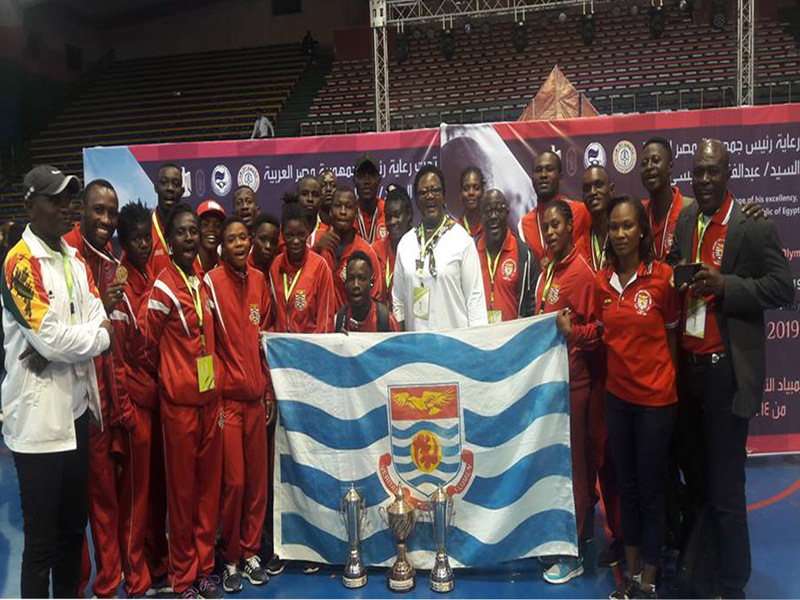 The University of Cape Coast has emerged as the overall winner of the maiden African Universities Olympics Games held in Cairo, Egypt. UCC was declared winners of the competition with 10 gold 7 silver and 8 bronze medals in the one-week competition which was participated by 47 universities across Africa. UCC secured the first position for male and female making the University the overall best team in the competition. The Astute University of Egypt placed the second position with 3 gold medals. The other two competing institutions from Ghana-the University of Ghana and the University for Development Studies both won 2 gold medals respectively. The UCC team which was led by the Pro Vice-Chancellor, Prof. Dora Francisca Edu-Buandoh also includes the Chairman of the Sports and Recreation Committee, who is also President of the Ghana Universities Sports Association (GUSA), Dr Charles Domfeh; the Dean of Students’ Affairs, Prof Eugene Marfo Darteh, four other officials and 18 sportsmen and women.